As Cal Ripkin Jr once said: “you can be a kid as long as you want if you play baseball.” Obviously the two-time Golden Glove must have been thinking of Sportball when he said this… well maybe not, but he definitely spent many hours throwing, catching, batting, running bases and fielding, all skills that are built into our play-based T-Ball programming. 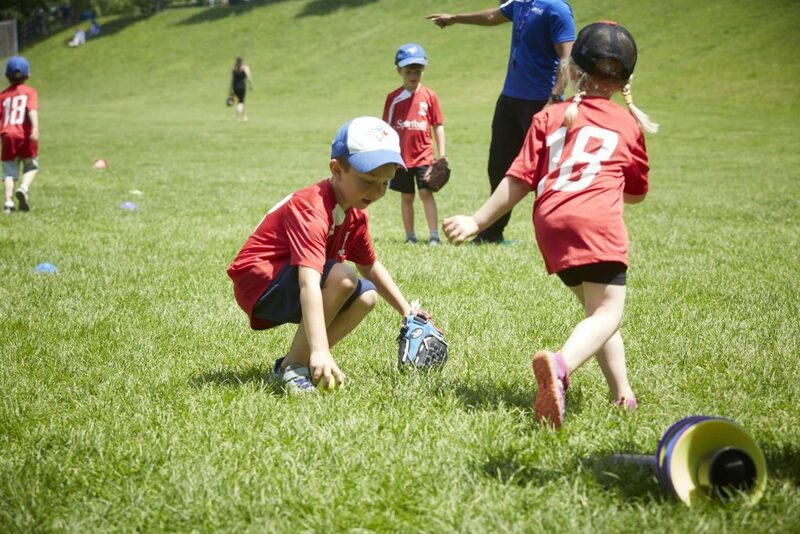 Sportball T-Ball has launched more than a few baseball dreams and some home runs too! 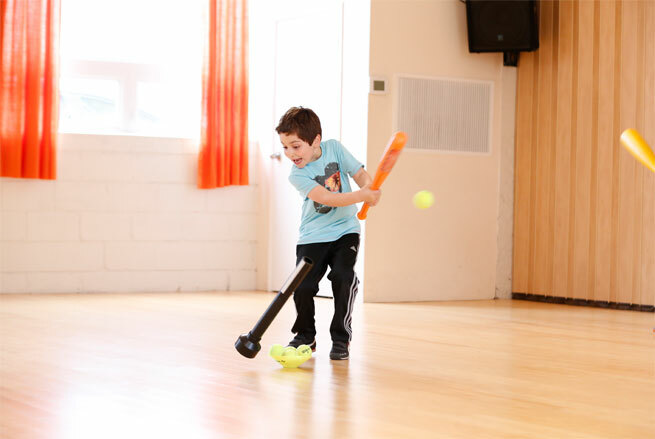 T-Ball classes are offered year-round at select locations. All Sportball programs are designed to grow with your child and re-enrollment is encouraged. Our play-based approach uses creative coaching techniques to captivate imaginations and reduce performance anxiety. Children imagine that beanbags are pizzas and the targets, animal houses. They deliver pizza to the different animals by hitting the targets. 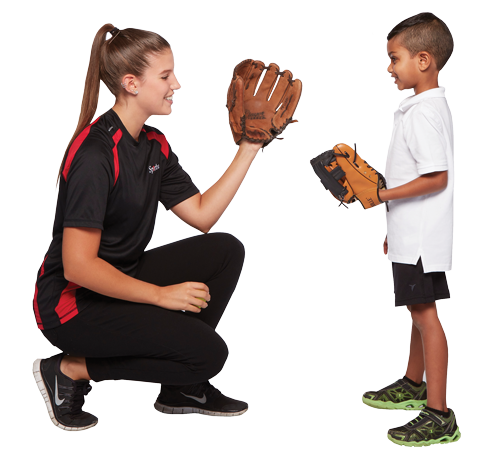 WHICH T-BALL PROGRAM IS RIGHT FOR MY CHILD? 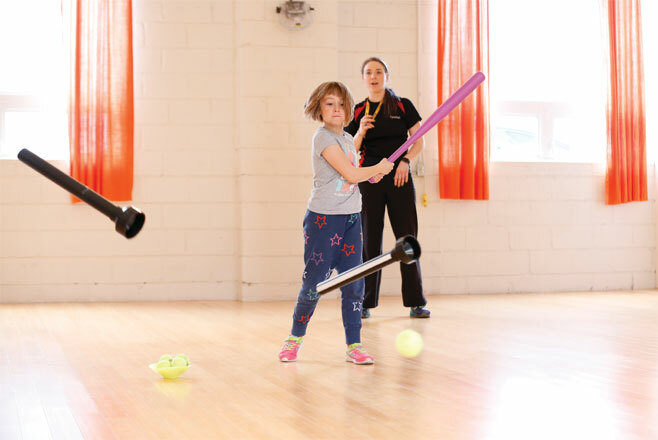 Children 16 months to 12 years are introduced to T-Ball as part of our signature Multi-Sport program which is offered year-round Indoor or Outdoor. A great early start to the fundamental skills of T-Ball using a fun play-based curriculum. Depending on the season and location, we also offer Parent & Child and Me & My Dad (Moms are welcome) Outdoor T-Ball classes. 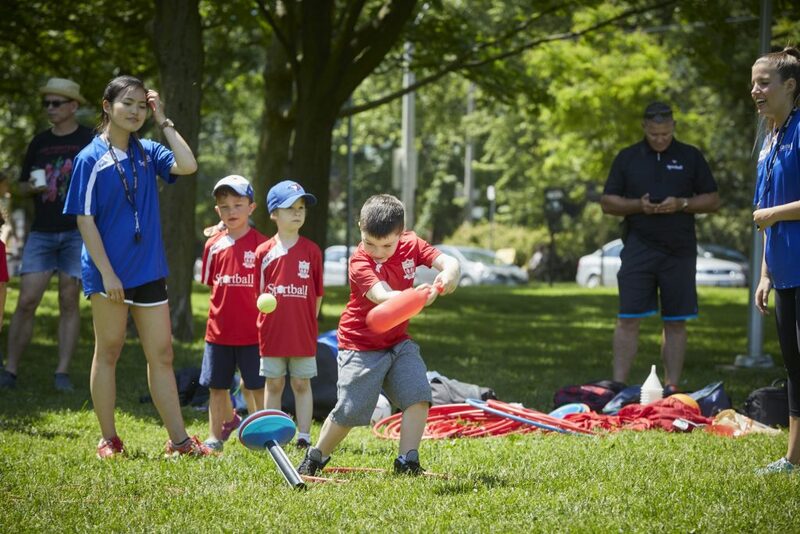 This is a great way to get out in the sun and play ball with your Sportball family. 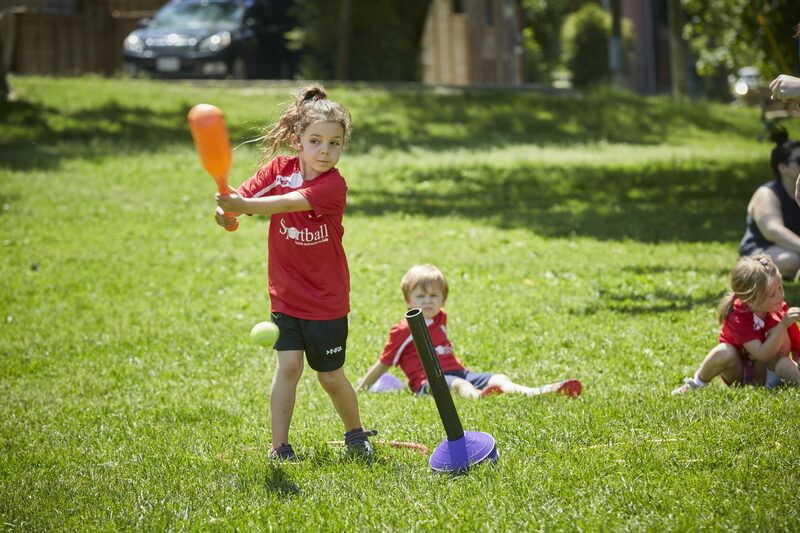 In our Drop Off Outdoor T-Ball classes learn T-ball fundamentals in a supportive non-competitive setting. While parent participation is not required, we request that parents remain on-site for the duration of all outdoor classes. Oh no! Are our T-Ball programs full? Drop Off Multi-sport or T-Ball Combo classes, like Soccer & T-Ball, are great alternatives.